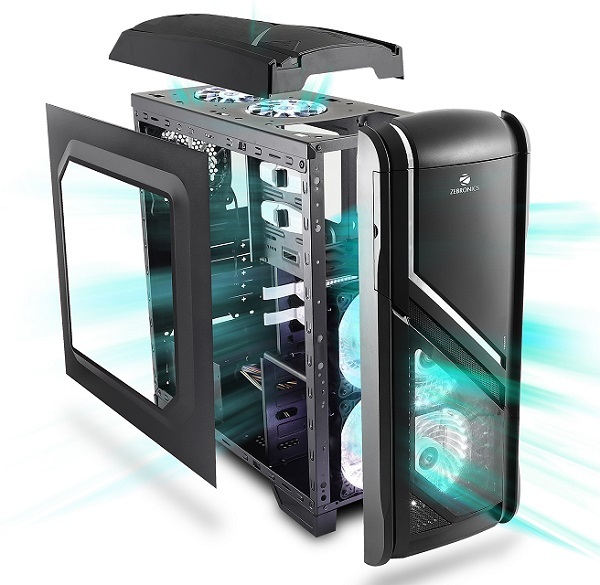 Zebronics, a brand known for its diversified technological innovations to create enriching experiences, launches its latest line up of cabinets ‘Premier’ built to handle todays and tomorrows high performance systems that are custom built for gamers from the inside – out. The Premier is perfect for Gamers, system integrators because of its extensive cooling advantages and also expandability. With ‘Premier’ chassis Zebronics pushes the bar higher in cabinets, with cutting edge product design that features the latest technologies to help gaming enthusiasts create a personalized look that matches their styles. 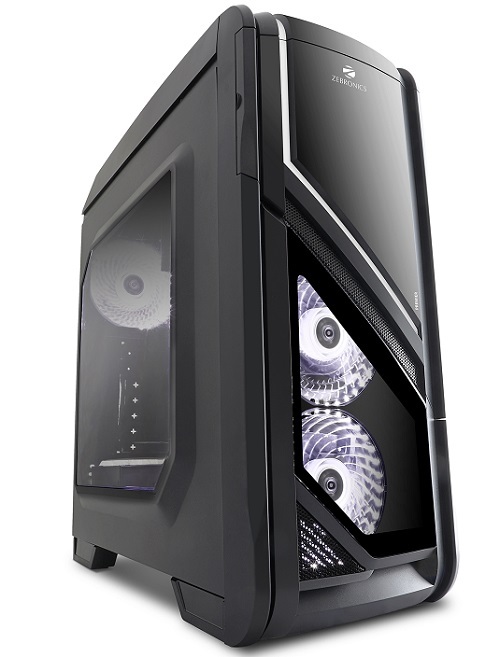 The transparent window on the side panel and the front, along with the stylish chrome rail provides a fresh look into the breathtaking high performance PC build inside. Since gaming hardware produces a lot of heat, this enclosure contains Dual 120mm Front LED Fan & 120mm Rear LED Fan for an optimized cooling solution offering extreme airflow and holes for liquid cooling with a touch of style and brilliance. It also provides flexibility and loads of storage options where one can install upto 3X 3.5” HDD, 2X 5.25”ODD and 2X 2.5” SSD. It also has 7 expansion slots, providing space for lengthy graphic Cards. With tool free drive bay design, it supports two 2.0 USB ports and one USB 3.0 port along with SD/Micro SD Card reader. With the greater spacious interior premier offers to build a complete high end solution, increasing the CPU’s overclocking potential while delivering the outstanding performance. The product is already available with leading retail stores in India.